Transportation is at the forefront of a paradigm shift that has created an enormous opportunity for rail based shipping and Logistics Services on and off Long Island. 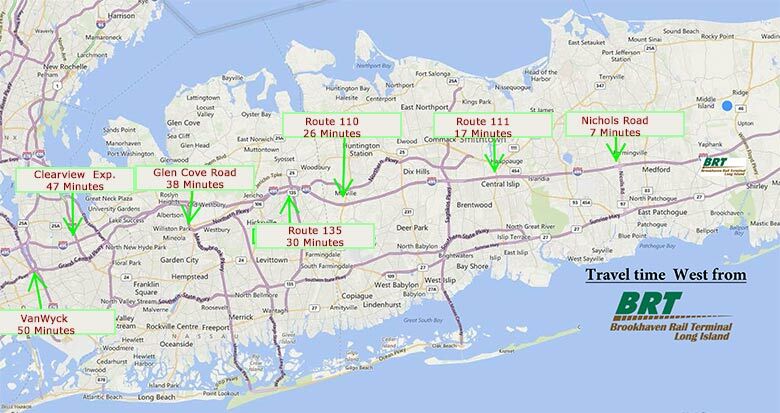 Until now, freight movement on Long Island has been handled almost exclusively by truck. Reductions in allowable gross vehicle weights over New York bridge crossings to Long Island have effectively doubled the number of trucks required to haul the same amount of materials. Approximately one percent of freight on Long Island is handled by rail, compared to 19 percent in the nine northeastern states. Brookhaven Rail Terminal provides a significant opportunity to reduce truck traffic and to enhance the region's future freight transportation network. Brookhaven Rail Terminal is significantly benefiting the environment by taking tens of thousands of trucks off the Metropolitan Region's roads and bridges. It is documented that rail is the most environmentally friendly way to move goods over land compared to all other freight transportation options. *Statistics from the American Short Line and Regional Railroad Association (ASLRRA). The benefits to the environment both in terms of fewer truck miles, less air pollution, fewer truck trips over bridges and less traffic on the highways are only one part of the positive equation for Brookhaven Rail Terminal. In addition to the environmental benefits, the cost to ship materials on and off Long Island are greatly reduced since the cost of rail freight shipment, on a ton per mile basis, is approximately half the cost of truck shipment. Brookhaven Rail Terminal clearly is a sustainable business and rail project with a "triple bottom line" - the community, fiscal, economic development and environmental benefits are substantial and sustainable.